Sometimes it's just easier for us to come to you. We can bring our mobile studio to all kinds of events, from Nurseries to W.I. Bookings. We can customise your booking to suit all specifications and budgets. Please be aware if you choose pottery painting as an activity, you will need to collect it from our shop a week later or we can deliver it for an additional fee. Scroll down for just some of the events we can go to. If you can't see one that suits you, call us on 01993 704234 and we will be happy to answer any queries you may have. Prints on pottery make for beautiful keepsakes, which is why we visit nurseries for special occasions throughout the year, such as Mother's and Father's Day and Christmas. Just choose a day you would like us to visit and download the order forms below to hand out to parents to fill in prior to our visit. We really enjoy introducing the next generation to our art and design techniques. We can tailor our activities to suit your school's budget and curriculum, and offer a wide range of activities. 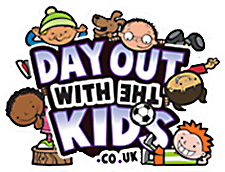 As well as complementing the curriculum for specific key stages, we are a great option for Activities Week, Book Week or as part of a whole school project. 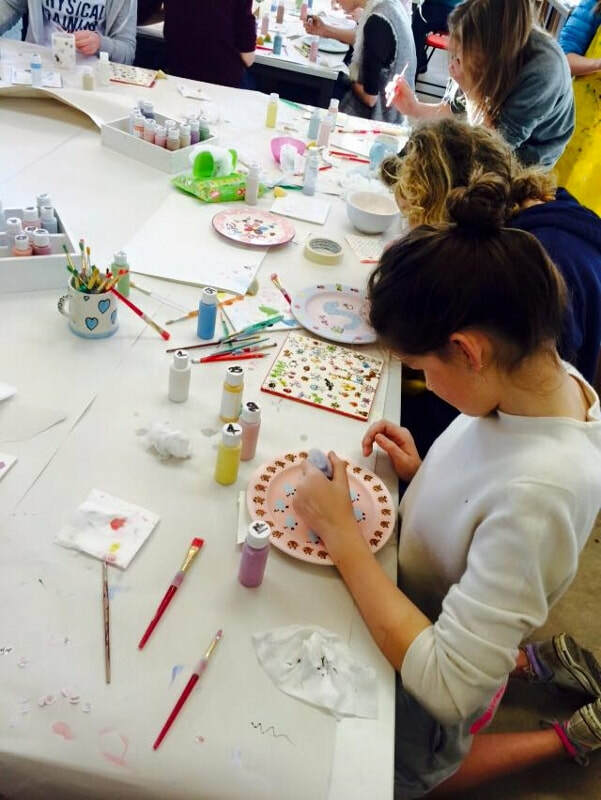 We can offer sessions in Pottery Painting, Decoupage, Mosaics, Block Craft Printing, Weave Art & Wet Clay. Call us on 01993 704234 and we can design a session to fit your requirements. Finding it hard to get speakers in? Although we don't do talks, we can offer a variety of craft activities to suit your budget and timeframe. Call us on 01993 704234 to arrange your session. Here, at The Pottery Place we understand the importance of capturing those little hands and feet at an early age. We can save you all the trip and come to one of your houses to do the prints. You can collect individually from the shop or one of you can collect everyone's. We also do a free gift for the host as a thank you for organising the event. Planning a children's party can be quite stressful and sometimes taking all the children out of the home can be more hassle. To make it easier we can bring our mobile studio to you. You can still choose any of our party activities but won't have to leave the house. Don't worry, we take all our rubbish away with us. 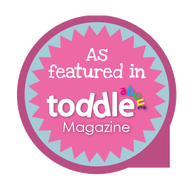 Visit our Parties page to see the options. Have you booked a cottage for the weekend and want a relaxing afternoon in? Doing something crafty is the perfect opportunity for everyone to get to know eachother. We can offer any of our studio activities, but painting is definitely our most popular. Your group can choose to make their own keepsake or paint a dinner set for the wedding couple. Please note: If you choose pottery painting you will be required to collect your items from our Witney store after they have been glazed and fired. We have a variety of packages so give us a call on 01993 704234 to discuss prices. Our takeout kits are great if you don't need one of our team to run a party for you or just want to do some painting in front of the TV. You get to take home everything you would have access to in our studio, but paint at your own leisure. Our takeout kits can be kept for a week and require a £50 deposit, £40 of which will be refunded to you upon the return of the kit. 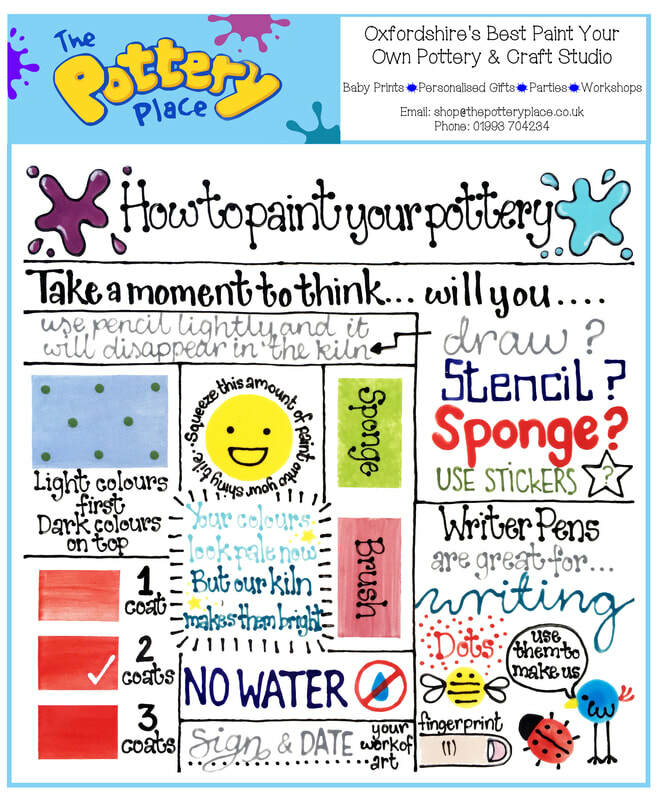 If you haven't painted before, make sure you read our paint-your-own pottery instructions on the right. 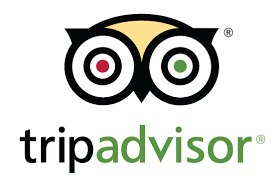 Call us on 01993 704234 to book yours. Call us on 01993 704234 to book our Mobile Studio now!